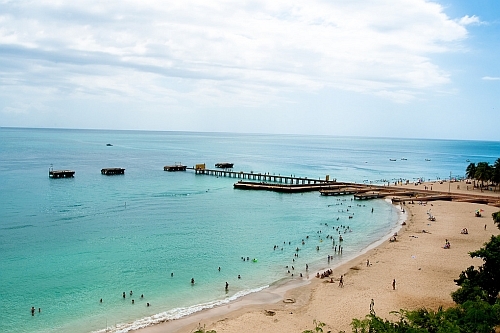 United Airlines has dropped the price of their winter 2019 flights from Toronto to Aguadilla and San Juan, Puerto Rico down to $298 CAD roundtrip including taxes. The flights have 1 stop each way, in Newark, for 2-4 hours. Puerto Rico was devastated by Hurricane Maria in September 2017. Recently, The Guardian posted an article with a 'Then And Now' look at the progress that has been made with the recovery efforts. Jan 23 to Feb 1, 2, 9 -- new! Feb 5, 6 to Feb 9, 16 -- new! Feb 10 to Feb 16 -- new! Mar 2 to Mar 13 -- new! Update 5/8 - Flights from Toronto to Aguadilla, Puerto Rico are still around for $298 CAD roundtrip including taxes. There are some new dates in January, February, and March 2019. Any great deals on a place to stay in Aguadilla, Puerto Rico? The map below will show you some great deals on AirBNB accommodations in Puerto Rico for under $99 CAD/night for 2 people. toronto, yyz, caribbean, eastern caribbean, flight deals, san juan, puerto rico, sju, united airlines, greater antilles, aguadilla and bqn.